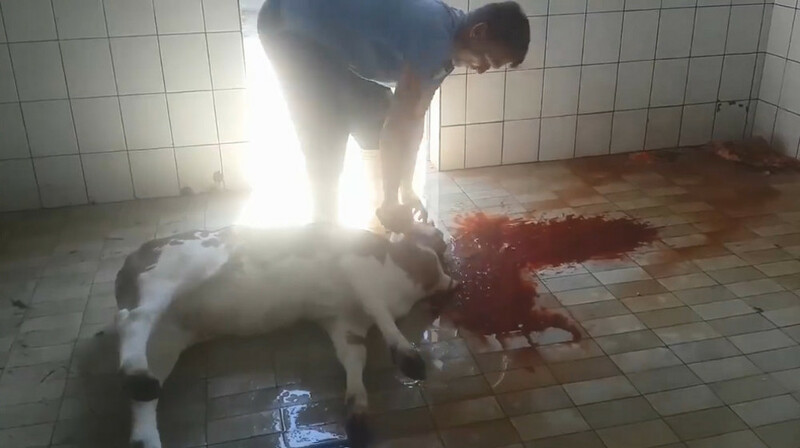 After a heartbreaking video, Animal Friends Croatia asks: "Has your meal been beaten to death?" 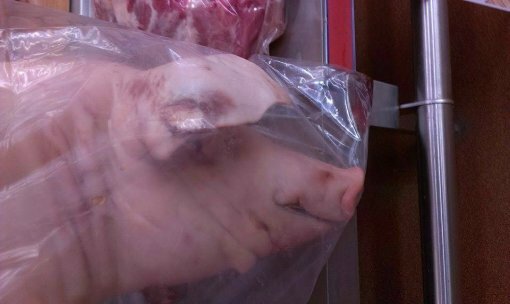 After the salmonella affair in Croatian supermarkets, a new scandal will force many meat eaters to reconsider their dietary choices. This morning, Animal Friends Croatia received a photograph showing that a piglet sold in a Croatian shop was obviously tortured before being killed. 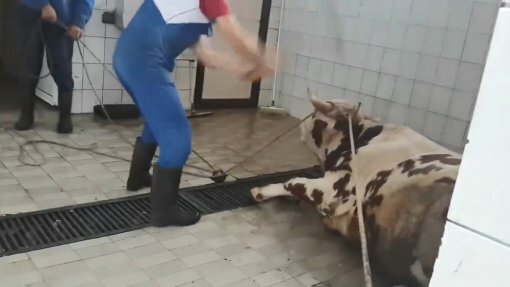 An equally graphic video titled "An innocent calf receives head blows before having its throat slit", which went viral in 2016, shows the terrible agony of a cow and its calf. In a horrible slaughtering scene which shocked netizens, the butchers mock the animals and comment in Croatian that they must stay in good shape in order to torture and kill them. The story of aimless cruelty to animals in Croatia quickly spread all over the world. The calf's fragile body and head quickly collapsed under the blows. The cow was deprived of her life and her dignity while the murderers laughed and cursed over her final, agonizing twitches. It is difficult to watch the video and everyone who decides to see it and face the cruel reality of routine procedures in slaughterhouses will be haunted by the sounds of merciless blows for a while. 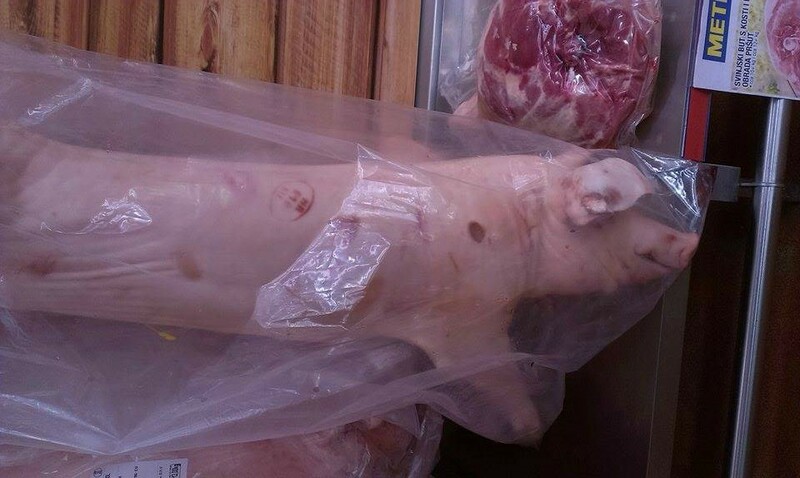 The photograph of the piglet that was only a few weeks old and obviously ended its miserable life in agony, tortured by fists, clubs, or electric shockers that are used to stun the animals fighting for their lives, clearly shows that such treatment is an everyday practice in slaughterhouses. It is common knowledge that pigs are smarter than dogs and possess a similar level of intelligence as chimpanzees. They also feel empathy, yet are tortured and killed in huge numbers in the meat industry. Cows, who are likewise highly intelligent and emotional animals, with motherly instincts that equal those of the human race, are mercilessly exploited in the milk industry. Most pigs and cows spend their lives in captivity, in terrible conditions. Their brief and unhappy existence ends with slaughter, which can never be done humanely. Animal Friends Croatia invites you to reflect on the horror experienced by pigs, cows, and other animals on farms and in slaughterhouses, and consider joining more than 160 thousand people in Croatia who have chosen to stop eating animals.